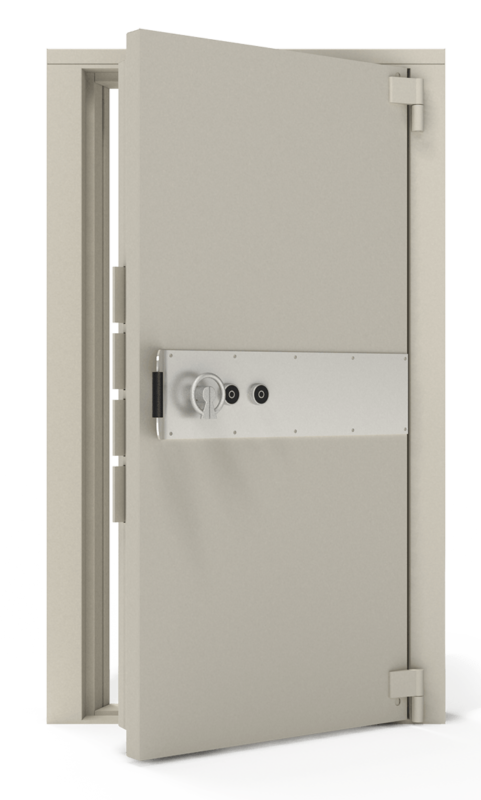 All Vault Doors are fitted with high security key locks as standard and can be equipped with a wide variety of other locks such as sophisticated digital and electronic models with time delay, audit trail or even biometrics. Robur Vault Room Gates are designed for use when the vault door may be open during business hours. They provide an additional level of security for staff at work within the vault without hindering accessibility. They are manufactured from steel plate in an aluminium finish. Key or electronic locking is available. Our Vault Room Doors and Gates feature a similar stylish design aesthetic which incorporates clean, modern lines and colours.. 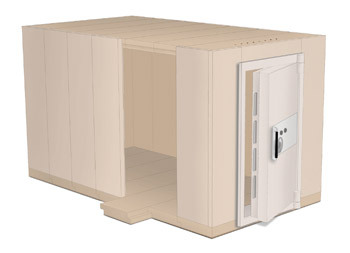 Tested to the EN 1143-1 standard, Robur Prefabricated Strongroom Vaults are available in Grades V, VI, VIII and X. Grade VIII and X have been tested for their ability to resist core drill and explosive attack, providing the very highest level of security possible. Robur Prefabricated Strongroom Vaults are constructed from wall and roof panels which are welded together to form a strong shell. Each panel is made from a special barrier material. 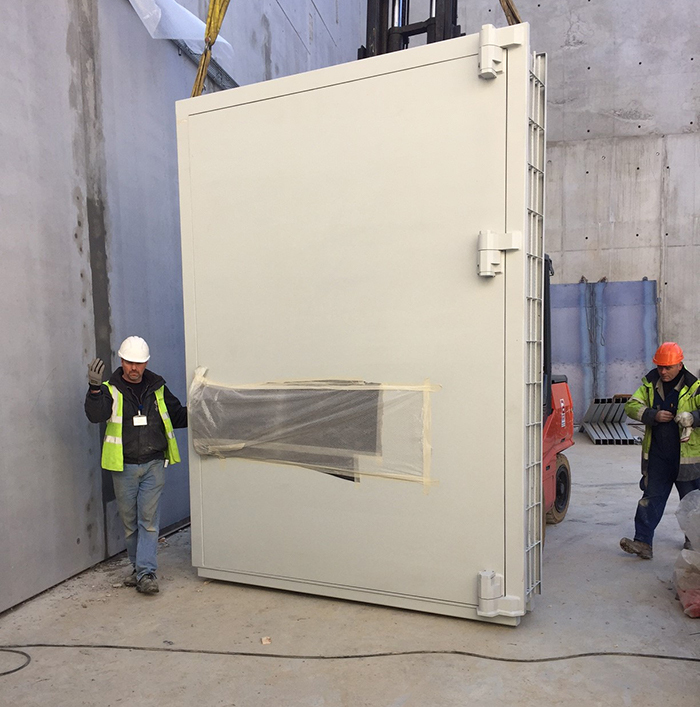 The design of the vault can be customised to suit almost any site, is easily assembled and can even be dismantled if required. Air conditioning and ventilation can be incorporated without compromising on security. Any openings are reinforced so as to prevent them being exploited by a thief. Special conduits provide space for power cabling which can be used for lighting and alarm systems. Ideal for use in securing a large amount of cash, valuables or both.